The History of Dodge County, Wisconsin. Chicago: Western Historical Company, 1880. The History of Jefferson County, Wisconsin. Chicago: Western Historical Company, 1879. The History of Lafayette County, Wisconsin. Chicago: Western Historical Company, 1881. The History of Walworth County, Wisconsin. Chicago: Western Historical Company, 1882. The History of Waukesha County, Wisconsin. Chicago: Western Historical Company, 1880. Haight, Theron W, Ed. Memoirs of Waukesha County. Madison, Wis.: Western Historical Association, 1907. Peck, George W, Ed. Cyclopedia of Wisconsin, Vol. 1. Madison, Wis.: Western Historical Association, 1906.These books may be used in the library. Staff is happy to make copies of pages. We also have a file containing source material on area history and a file of selected area obituaries. 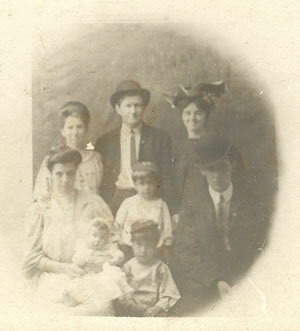 Ancestry is accessible only within the library. HeritageQuest is accessible from any PC with a valid card from any Waukesha Federated Library System library. For access outside the library, click here. Hours: Wednesday—4:00 to 7:00 p.m.
Friday and Saturday—9:00 a.m. to noon or by appointment. Eagle Quill—1898 to 1950. Staff will do lookups. Photos of Eagle places and people. Waukesha Freeman obit index 1859-1920. Prairie Farmers Home Directory, 1928. Waukesha County Portrait and Biographical Record. 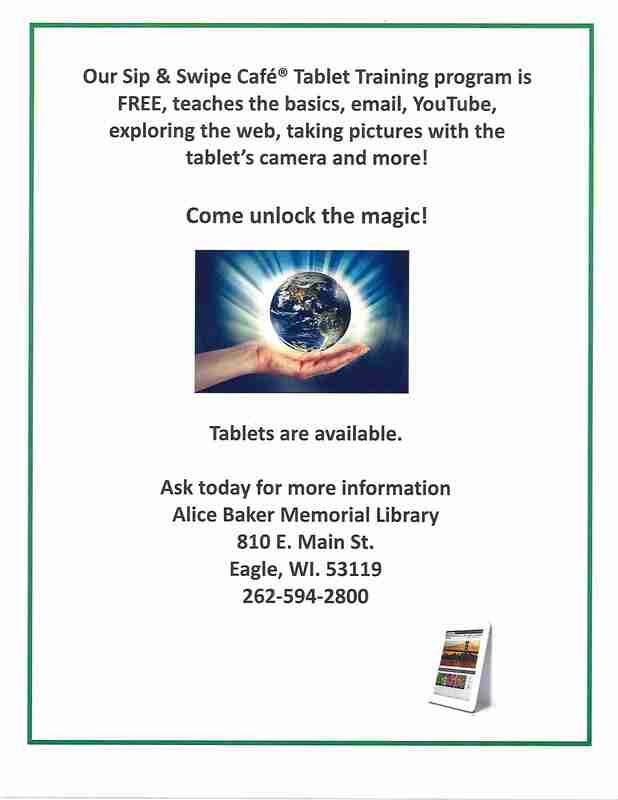 Plat maps and books—Waukesha and surrounding counties. Village and Town government records. Eagle news columns from Mukwonago Chief. Extensive historic files on Eagle families. Local weddings and military service information. Open Saturdays 10:00 a.m. to 2:00 p.m.
Thursday, May 2 7:00 p.m.
Thursday, April 25 6:00 -7:00 p.m.
Tuesday, April 30 6:00 p.m. - 7:00 p.m.
NOT a discussion about marijuana. Co-sponsored by the Eagle Nature Trail.